A composition of love focused poetry & sentimental expression that continues to leave readers entirely swept away. Most often readers compliment the books ability to paint pictures of love in both heart and mind. 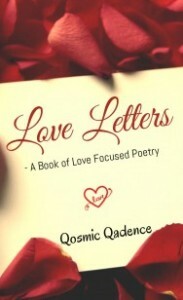 This book contains nearly 70 artistically beautiful expressions of Poetry & Prose, making it the PERFECT Gift for the Hopeless/Hopeful Romantic on the inside of us all. We Assure You That Everyone Should Own A Copy of This Book. Join the masses who’re falling in love with this material, over & over again.